We are all things nature, kids, education and play and especially where they all intersect. I find the ECE world there are concepts, questions and ideas that come up a lot in the world of the littles. One of those concepts is exclusionary play. I have had a lot of questions recently about exclusionary play. I am one that does not agree with “just” letting kids work it out, nor do I agree with giving a blanket rule of we don’t do that and redirecting the play. But not for reasons that some think. I don’t see it as play that needs to be squashed or redirected but instead explored. I think it is one of those key concepts that tells me the kids are learning something. One of those windows into the child’s mind. 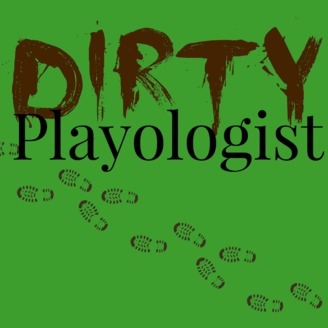 I find that exclusionary play is a symptom that something needs to be learned, not a problem. What I do is figure out what is the child is trying to learn and figure out what my role is in dealing with that. We have the rule of no exclusionary play in our school in the same way we have the rule of no aggression or teasing. The rule can be broken if the kids involved agree but if one kid doesn’t agree it is time to go deeper. Sometimes kids are working on a concept and my role as a facilitator is to step back and watch how they are handling tthe situation and watch if they need me, or they don’t need me. Sometimes my role is to step forward and scaffold or facilitate something they are struggling with. The following are examples of some reasons for exclusionary behaviour that I have seen and some ways that I have facilitated or scaffolded the learning when the children needed it. Sometimes kids exclude because they are wanting to control the play. Our rule is no one tells anyone else what to do at our school (leaving out safety I as a teacher also follow that rule). So in this case I let the children know that they can’t tell other kids what to do which includes what to play or what not to play. This takes out the factor of control so a child has to be responsible for the only thing they can truely control – their own behaviour. One of my favourite mantras is have the serenity to deal with what I can’t change, the courage to change what I can and the wisdom to understand the difference. Some kids exclude to bully. In this case I would deal directly with the bully as they have to work on social skills or emotional skills and usually emotional issues such as anger, fear, anxiety so I tackle that with the child when they are excluding. If it is something I can’t deal with I would seek outside support, if it is something I could I would provide what this child needs to feel supported enough to be vulnerable. Sometimes they are excluding because they don’t have the skills to change the play to make everyone happy so I scaffold those skills and we take the time to work it out – they do as much as they are capable of and I scaffold any skills needed. This one can take two minutes to an hour or longer depending on the complexity of play and what they are trying to learn from the experience. Some children exclude because of self regulation – they find it hard to deal with changes in the environment or in play – so I would tackle self reg for the child and work on that. Sometimes it would be independent self regulation, sometimes regulation within the group but in either case I would facilitate the process. When they are better able to regulate to a change in play they will better be able to adapt. Some children exclude because of fear from the other child so I would deal with that with both children so each can express how they feel and why they are acting that way (excluding or acting in a way that would cause another fear). In this case I work to empower the victim and to allow the aggressor a voice to express how they are feeling and why they feel bad. Usually if it has gotten to the point where a child feels they need to exclude to feel safe there needs to be some major relationship repair and major repair in my environment so that it is a safe place for all. Again, if I was not able to deal with this breach of safety I would reach out for supports because every child deserves to feel safe (and in most cases both children do not feel safe). These are just the ones off the top of my head but I am sure there are other reasons as well. Excluding is not a simple behaviour but more of a window into the thought processes, the emotional processes, learning processes that are going on. For me excluding is just another form of roughousing (aggression if done without consent) or bantering (teasing or arguing if done without consent). If one child does not agree to it and the other child continues the behaviour it is signalling that there is something else that is going on or something else the kids are trying to learn. Excluding for me means a signal that they kids are ready to learn something. Figuring out if I need to have a watchful eye, or if they struggling with how to learn it is where my job begins. If you enjoy our content help support our message! Most of the content I post in podcasts, blog articles and expert opinions are posted to help spread the word so I do not charge! If you want to help you can buy me a coffee or tea at my favorite office space Starbucks while I work (I receive no sponsorship from Starbucks just love their drinks!) Just click on the link below and include your email and I will send a personal thank you! If you send $10 I will also give you an in-depth answer to a quick question you have about kids, outdoors and learning!